Here are the ratings for the Fringe TV series. 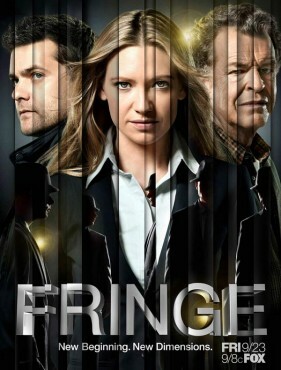 The FBI’s “Fringe Division” team (Anna Torv, Joshua Jackson, and John Noble) continues to use unorthodox science to investigate unexplained occurrences related to a parallel universe. The fourth season of Fringe typically airs Friday nights at 9pm on the FOX network. These are the TV show’s ratings for the 2011-12 season, the best way to tell if Fringe will be cancelled or renewed for a fifth season. Check out our FOX ratings report card to see how this show’s numbers compare with the others on the network. Final season four averages: 1.1 rating in the 18-49 demographic with 3.07 million total viewers. 1.0 in the demo (+11% episode-to-episode change) with 3.11 million; fourth in the timeslot. Season average: 1.12 in the demo with 3.07 million. Demo average rank: #19 of 19 scripted TV shows on the network (Fall 2011 – Spring 2012). 0.9 in the demo (-10% episode-to-episode change) with 2.73 million; fourth in the timeslot. Season average: 1.12 in the demo with 3.06 million. 1.0 in the demo (0% episode-to-episode change) with 3.09 million; fourth in the timeslot. Season average: 1.14 in the demo with 3.08 million. Update: Fringe has been renewed for a fifth and final season of 13 episodes. 1.0 in the demo (+11% episode-to-episode change) with 3.03 million; third in the timeslot. 0.9 in the demo (-10% episode-to-episode change) with 2.84 million; fourth in the timeslot. Season average: 1.15 in the demo with 3.08 million. 1.0 in the demo (-17% episode-to-episode change) with 3.01 million; fourth in the timeslot. Season average: 1.16 in the demo with 3.10 million. 1.2 in the demo (+33% episode-to-episode change) with 3.08 million; tied for third in the timeslot. Season average: 1.18 in the demo with 3.10 million. 0.9 in the demo (-25% episode-to-episode change) with 2.87 million; third in the timeslot. Season average: 1.17 in the demo with 3.11 million. 1.2 in the demo (+9% episode-to-episode change) with 3.08 million; fourth in the timeslot. Season average: 1.19 in the demo with 3.12 million. Demo average rank: #17 of 17 scripted TV shows on the network (Fall 2011 – Spring 2012). 1.1 in the demo (0% episode-to-episode change) with 3.0 million; third in the timeslot. Season average: 1.19 in the demo with 3.13 million. 1.1 in the demo (-8% episode-to-episode change) with 3.05 million; fourth in the timeslot. Season average: 1.20 in the demo with 3.14 million. 1.2 in the demo (0% episode-to-episode change) with 3.20 million; fourth in the timeslot. Season average: 1.21 in the demo with 3.14 million. 1.2 in the demo (+9% episode-to-episode change) with 3.33 million; fourth in the timeslot. 1.1 in the demo (0% episode-to-episode change) with 3.19 million; fourth in the timeslot. Season average: 1.21 in the demo with 3.12 million. Demo average rank: #16 of 16 scripted TV shows on the network (Fall 2011 – Spring 2012). 1.1 in the demo (0% episode-to-episode change) with 2.87 million; fourth in the timeslot. Season average: 1.23 in the demo with 3.11 million. Demo average rank: #14 of 14 scripted TV shows on the network (Fall 2011 – Spring 2012). 1.1 in the demo (0% week-to-week change) with 2.88 million; fourth in the timeslot. Season average: 1.24 in the demo with 3.14 million. Demo average rank: #12 of 12 scripted TV shows on the network (Fall 2011 – Spring 2012). 1.1 in the demo (-15% week-to-week change) with 3.03 million; fourth in the timeslot. Season average: 1.27 in the demo with 3.19 million. 1.3 in the demo (+8% week-to-week change) with 3.21 million; fourth in the timeslot. Season average: 1.30 in the demo with 3.22 million. 1.2 in the demo (-8% week-to-week change) with 3.16 million; fourth in the timeslot. Season average: 1.3 in the demo with 3.22 million. Demo average rank: #11 of 11 scripted TV shows on the network (Fall 2011 – Spring 2012). 1.3 in the demo (+8% week-to-week change) with 3.18 million; third place in the timeslot. Season average: 1.3 in the demo with 3.24 million. Demo average rank: #10 of 10 scripted TV shows on the network (Fall 2011 – Spring 2012). In week two, the series was down by 20% when compared to the premiere. It attracted 1.2 demo rating with 3.05 million viewers. It was in third place for the timeslot, just above a repeat of Pan Am on ABC. Season average: 1.4 demo with 3.26 million. Episode 04-01: Friday, 9/23/11: It was disappointing start to the season for the sci-fi show. It attracted a 1.5 rating in the 18-49 demographic with 3.48 million viewers. That was a decline of 40% year-to-year and put the premiere in third place for the timeslot. Lucky for fans that FOX already ordered a full season of episodes. 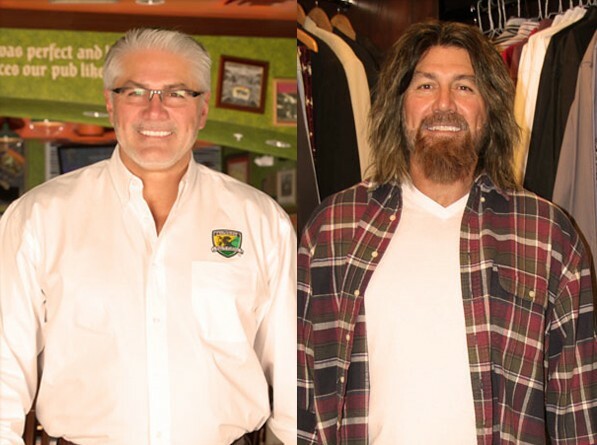 Reference point: The 2010-11 season averaged a 1.6 rating in the 18-49 demographic and 4.37 million viewers. What do you think? Do you like the Fringe TV series? Do you think it should be cancelled or be renewed for a fifth season? I can’t believe they cancelled the ONLY interesting thrilling show. I am sick of comedy, crime shows, talk show or reality shows!!! Fringe is the best show that’s on TV. TV is usually boring. Fringe brought excitement that other shows lack. Keep it on for a long, long time. please do not cancell Fringe.there are sooo many bad shows with bad actors it’s hard to find something interesting to watch.I look through the guide and its hard to find more than 2 shows to record. It’s sad to see whats happened to t.v. There are only 2 shows that I watch during the week, Fringe is one of them. The only show that is interesting. Get rid of all the reality shows, I totally agree. They are all the same, network needs more creativity. C’MON FOLKS-WE ARE BEING TEASED BY FOX YEAR AFTER YEAR. IF FOX WON’T PICK IT UP ANOTHER NETWORK WILL-GLADLY. FRINGE STAYS ON FOR 5 MORE SEASONS. HOPEFULLY ALL PRINCIPLE CAST MEMBERS WILL WANTS THE SAME. Please give us one more season. I agree completely. I DETEST reality T.V. (even though I realize they are cheap to produce and bring in BIG BUCKS to the networks). It may be time to start campaigning for SyFy to take Fringe and Grimm and keep them both alive for a few more seasons. Save Fringe, get rid of reality shows, is fox gets rid of this i will not even turn it on anymore! If they start listening they’ll pull Fringe off the air immediately since it’s ratings are an embarrassment … the people have spoken and they’ve said we don’t like this show, get rid of it. You two just stick to watching your X-Factor and other reality TV crap then!